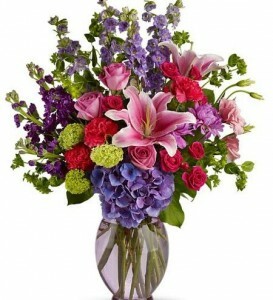 This beautiful bright bouquet has a large variety and color. 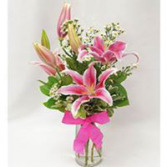 Designed in a high style modern design that is popular for anyone who loves flowers. Colors can be substituted to fit your personal preference. 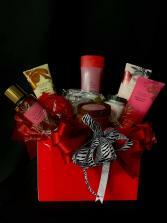 This Bath & Body Works gift set includes lotions, shower gels, bath bombs, candles, Godiva chocolates, scarf, hair band Great as a gift or to add to a bouquet of flowers. She will love it! 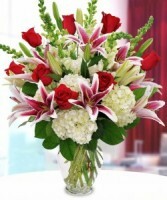 This gorgeous bouquet of Valentine's favorite flowers makes a statement in every room. Show your love with flowers that she will not forget.